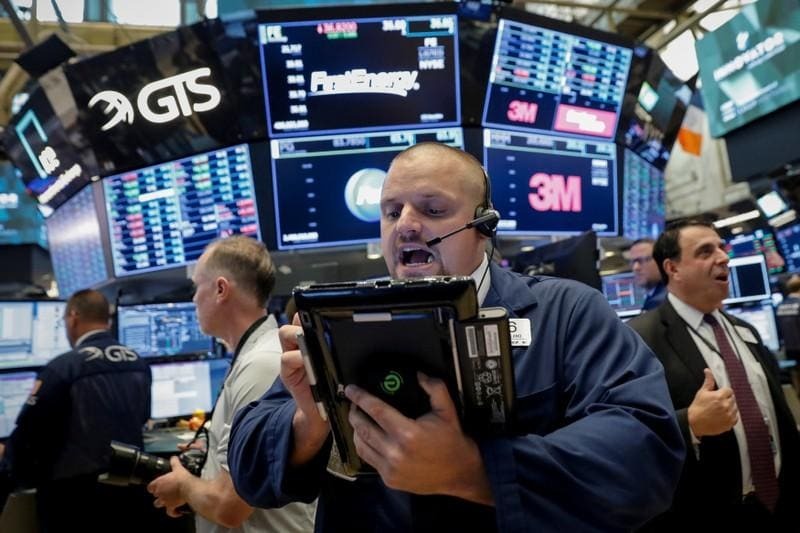 SAN FRANCISCO (Reuters) - Chipmakers, cloud-computing sellers and even credit card payment companies will have a greater chance to stand out in the information technology sector next month following the largest-ever shakeup of Wall Street's industry classification system. In a reorganization spanning three sectors, none of the so-called FANG high-growth stocks - Facebook , Amazon.com , Netflix and Google-owner Alphabet - will be classified as technology companies, even though investors widely view them as the leaders of a tech rally that has powered the stock market higher in recent years. On Sept. 24, S&P will shift Alphabet, Facebook, Twitter , Paypal and videogame makers Electronic Arts and Activision Blizzard from the S&P 500 technology index to an expanded telecom group, renamed "Communications Services." Netflix, which like Amazon, is currently part of the consumer discretionary group, will also move to the expanded telecom group. Amazon will stay put in consumer discretionary. The changes are part the largest-ever reorganization of the Global Industry Classification Standard, or GICS, an industry taxonomy widely used by investors. MSCI will adjust its indexes in November. Meant to reflect the economy's evolution, the overhaul of GICS will affect how mutual fund managers choose between stocks, and force passively managed sector funds to reallocate billions of dollars. Removing Alphabet and Facebook from technology indexes may lead investors to pay more attention to smaller, remaining technology companies. "People will be able to get a clear look at the tech sector without being overwhelmed by these behemoths that really are media companies," said Mike O’Rourke, chief market strategist at JonesTrading. Exchange-traded funds that passively track indexes have about $89 billion invested in the technology sector, much of which will have to be reinvested to stay in line with the sector changes, potentially creating volatility, according to data from Thomson Reuters Lipper. While many individual investors will still view Alphabet and Facebook as tech stocks, mutual funds have internal rules limiting how much they can invest across different sectors. With Facebook and Alphabet shifted into the communications sector, fund managers will no longer have to choose between them and Apple or Microsoft , or bets on chipmakers and cloud-computing, said Credit Suisse analyst Patrick Palfrey. "And at the same time, an investor can go to the communications sector and overweight an internet services company against a traditional telecom company," Palfrey said. "This is important for investors who have mandates to stay within certain parameters of a sector." Technology stocks have been top performers driving Wall Street's gains in recent years, including Apple , which currently makes up 16 percent of the S&P 500 IT index <.SPLRCT>. Apple will increase its weight in that index to 20 percent following the removal of No. 2 component Alphabet and Facebook, its fourth largest member. The changes will also increase the weight of smaller tech companies. Microsoft, Visa , Intel and Cisco Systems will round out the S&P 500 IT index's largest five components, followed by Mastercard , Oracle and Nvidia . Even without some of its highest-profile members, the technology sector will boast companies with track records for earnings growth and stock performance. Share prices of Visa and Mastercard, not typically viewed as tech companies, in 2018 have surged 23 percent and 34 percent, respectively. The S&P 500 tech sector under its future configuration would have gained 18 percent so far in 2018, outperforming the 16 percent rise under its current configuration, according to Palfrey. In its future configuration, the S&P 500 tech sector is currently trading at about 18 times expected earnings, compared to 19 times earnings with its current constituents. Following the GICS restructure, tech will account for 21 percent of the S&P 500, compared to 26 percent currently, according to Thomson Reuters data.